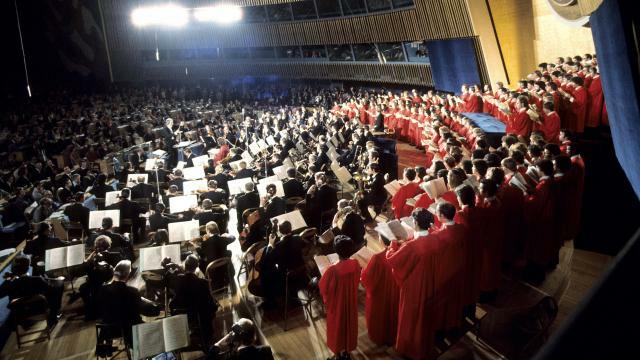 1975 UN Day Concert at the General Assembly Hall in New York: The Vienna Symphony Orchestra, conducted by Carlo Maria Giulini. FOR LISTENING PURPOSES ONLY. UN Photo/Michos Tzovaras 312123. The Vienna Symphony Orchestra and the Temple University Choirs performing in the General Assembly Hall.